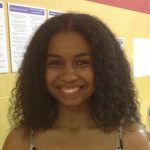 Maya Berrol-Young, ’17 is an independent major at Bryn Mawr College focusing on Propaganda and Political Aesthetics with a minor in Museum Studies. Her interests lie at the intersection of the visual and the political. She has previously worked on the exhibition Illuminating John Sloan at Bryn Mawr with Carrie Robbins in Spring 2015. She is excited to work with the faculty and fellow student curators on this project. Alexa Chabora, ’18 is a History of Art major at Bryn Mawr College with a particular interest in Photography and Contemporary Art. Growing up in an art-centered home she developed, at an early age, a love for all things museums. Now she hopes this course will be a way to share this passion with her peers and others. Alexa also has worked as an intern in a variety of museum settings including several summers at the National Academy Museum and most recently at the Thomas J. Watson Library in the Metropolitan Museum of Art. 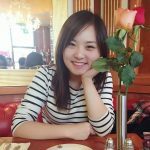 Lizhu Duanmu, ’17 is a History of Art major at Bryn Mawr College with particular interests in Chinese Art, Modern Art and Museum Studies. During the fall semester of her senior year, she developed a Praxis Program focusing on art conservation and conservation science. Interning in the analytical lab at the Conservation Department at Philadelphia Museum of Art, she performed data analysis on samples collected from art objects. For this 360°, she is passionate about learning curatorial practices and exploring the art in the college’s Special Collection with the faculty and her fellow students. 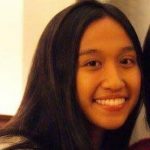 Abi Lua, ’19 wishes to study History of Art and English with a Chinese minor at Bryn Mawr College. She has studied fine arts throughout high school, specializing in water-color and pastel portraiture, and helped with arranging the school district-wide art show for several years. Abi now expresses this love for art in college by combining it with academia as she learns of the various theories of art. She is thus excited to explore the different theories regarding self-portraiture and fashioning in this 360° course and to embark on curating an exhibition with her classmates. 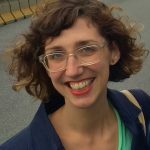 Sarah O’Connell, ’17 is an East Asian Languages and Cultures major at Bryn Mawr College, with a specialization in pre-modern Japanese art and craft work. She spent her junior year abroad studying Japanese art history at Doshisha University in Kyoto, Japan, which included an internship at the Kyoto National Museum where she learned about the process of creating exhibitions and storing and preserving fragile materials. A lover of photography, cinematography, architecture, museums, and contemporary art, Sarah hopes to help bring the vibrancy of Bryn Mawr’s Japanese art and artifacts collection to a wider audience, and is looking forward to learning more about what it means to be a curator with her peers and professors. 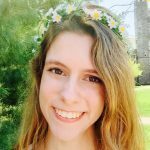 Cassie Paul, ’18 is a History of Art major at Bryn Mawr College with a passion for Bryn Mawr College’s history, particularly the campus architecture. She independently studied art history in high school and continues this in her coursework. 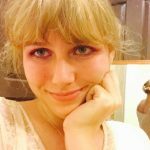 Alex Wilson, ’17 is a History of Art major at Bryn Mawr College, and has a wide range of interest in contemporary art, classical and baroque art, film and performance art. Alex studied abroad at Sotheby’s Institute in London during the fall semester of her junior year, and focused on modern art history and the art market. Alex has also worked at a few galleries and institutions in the Washington, DC area including the Phillips Collection and Touchstone Gallery. 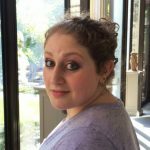 Alex is eager to begin work on the exhibition she will make with her fellow student curators, and looks forward to learning about what it means to become a curator. 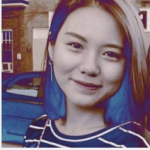 Xiaoya Lily Yue, ’18 is an International Studies and History of Art double major. She is an international student from Jinan, China. She is interested in political and economic development and international politics, but also has passion for contemporary art, Impressionism and the fuse of eastern and western art. She interned at the Palace Museum in Beijing and is thinking about going into the art market and art management business. Zixin Zeng, ’18 is a History of Art major and Economics minor at Bryn Mawr College. She is from Beijing, China and is interested in the contemporary art market. 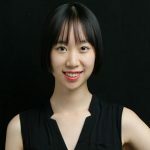 In the summer of 2016, she took an internship at ART NOVA 100 in Beijing working as an assistant curator with young artists (born after 1980) from China, Korea, and Japan. She is looking forward to work with artists in the future and to explore the dynamic world of contemporary art. Steven Z. Levine, a graduate of Harvard College and Harvard University (A. B. in History and Literature, 1968, and Ph. D. in Fine Arts, 1974), is Leslie Clark Professor in the Humanities, former Chair of the Department of History of Art, and former Director of the Center for Visual Culture at Bryn Mawr College, where he has been teaching since 1975. 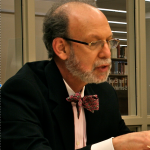 During these forty years he has directed more than thirty doctoral dissertations on topics in European and American art from the seventeenth century to the present. His book, Monet, Narcissus, and Self-Reflection: The Modernist Myth of the Self, was published by the University of Chicago Press in 1994, and a psychoanalytic postscript, “Virtual Narcissus: On the Mirror Stage with Monet, Lacan, and Me,” appeared in American Imago in 1996. His recent essay, “Les Fluidités du moi: L’Autoportrait en Narcisse de l’impressionnisme à Internet,” will appear in a volume of his collected essays on the Impressionist painter, Monet and Method: Essays on Art and Art History, 1975-2015. Levine has lectured widely on art and psychoanalysis, most recently at the Freud Museum in London. His book on the French analyst Jacques Lacan, Lacan Reframed: A Guide for the Arts Student, was published by I. B. Tauris in 2008. In 2014, with a class of student curators, he organized the exhibition, A Century of Self-Expression: Modern American Art in the Collection of John and Joanne Payson. He is currently doing research on self-portraits, mirrors, and cosmetic self-fashioning for a student-curated exhibition at Bryn Mawr College in 2017. Laurel McLaughlin is an M.A. student in the History of Art at Bryn Mawr College working on Contemporary Art, with particular interest in time-based media such as performance, film, and installation work. She received her B.A. from Wake Forest University with a double major in Art History and English and a minor in Linguistics as a Presidential Scholar. She then received her M.A. from The Courtauld Institute of Art, focusing on “Global Conceptualism” with Sarah Wilson. 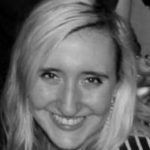 Laurel has worked at numerous museums in the Philadelphia area such as the Philadelphia Museum of Art, the Pennsylvania Academy of the Fine Arts, the Slought Foundation, and The Barnes Foundation and plans to pursue a curatorial career. 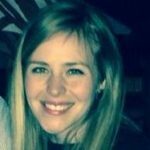 Carrie Robbins is Curator/Academic Liaison for Art & Artifacts. She teaches annual exhibition seminars as part of the core curriculum for the new Museum Studies minor. These courses guide students through the process of researching objects and organizing exhibitions from our collections. Her previous seminars have produced the exhibitions, Illuminating John Sloan and Fair Photographs? Portraits and Types from the World’s Columbian Exposition. Carrie is an alumna of Bryn Mawr College’s MA and PhD programs in the History of Art. For this 360° course cluster, she is excited to team up with her dissertation advisor, Steven Z. Levine, and their students to organize an exhibition that explores self-fashioning across cultures and history.